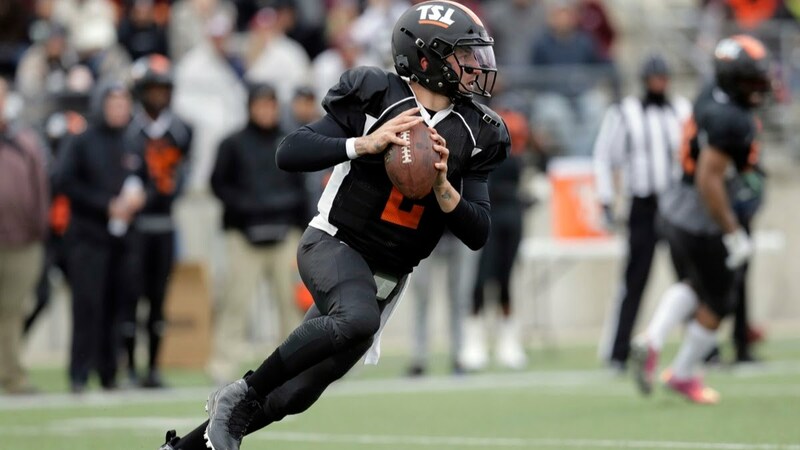 AUSTIN, Texas — Quarterback Johnny Manziel played in a football game Saturday for the first time in 832 days, a modest step in his long road back to elite-level football. Playing the equivalent of two quarters at a high school stadium, Manziel threw one touchdown pass but was sacked three times in a Spring League game. The outing followed nine days of practice among 170 players who paid a fee to participate in The Spring League, which bills itself as a developmental league that provides opportunities for players who are not on NFL rosters but hope to be.